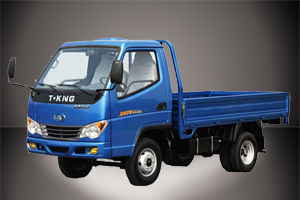 As one of the earliest manufacturers of gasoline-powered light trucks in China, T-KING was established in 1956. 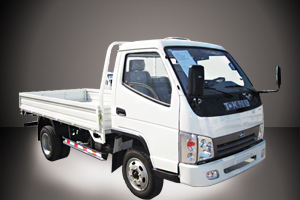 By relying on our 50 years of production and R & D experience, we can produce the best gasoline-powered light trucks. We have always been promoting the quality and services of our light trucks. 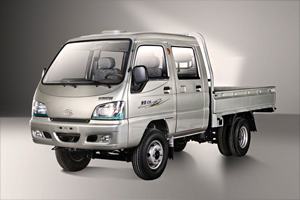 With little noise and a high power, our durable and environmentally-friendly gasoline-powered light trucks are reputed as "king of light trucks". 1. Safety: active/passive safety design, positioning three-dimensional braking system, and other security configuration upgrading. 2. Comfort: Optimized man-machine arrangement; easy and pleasant driving/riding; convenient and flexible operation system. 3. Fashion: Modern appearance molding; LED driving lamp; luxury upholstery. 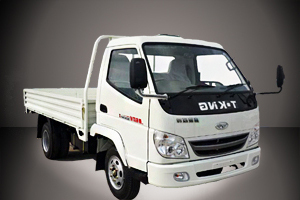 Welcome to contact our specialized manufacturer of gasoline-powered light trucks. We promise you the most favorable prices, the most excellent services and the speediest delivery. For more information about our gasoline-powered light trucks and other models, please click the webpage of detailed products or call or email us.